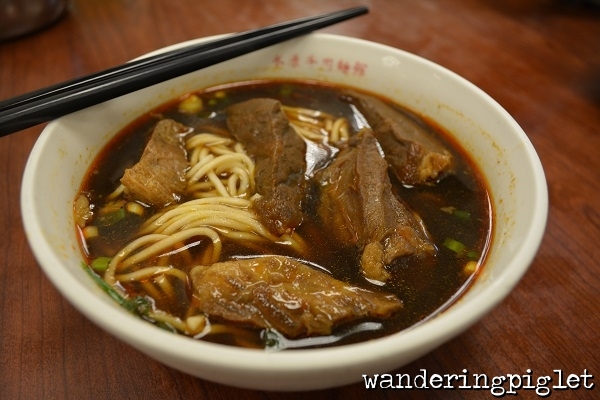 Yong Kang beef noodle soup is the top listing on google when “beef noodle soup taipei” is placed in the search engine, so in the name of food blogging I felt compelled to check it out. 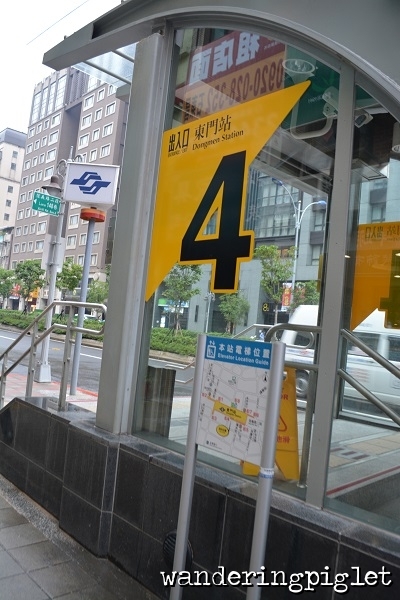 Number 4 exit from Dong Men station is the closest to Yong Kang, then it’s just a few minutes walk. Be warned, we arrived at approximately 12:35pm and there was a queue. T hough don’t be too fased it does move pretty quickly. People eat, and then leave. 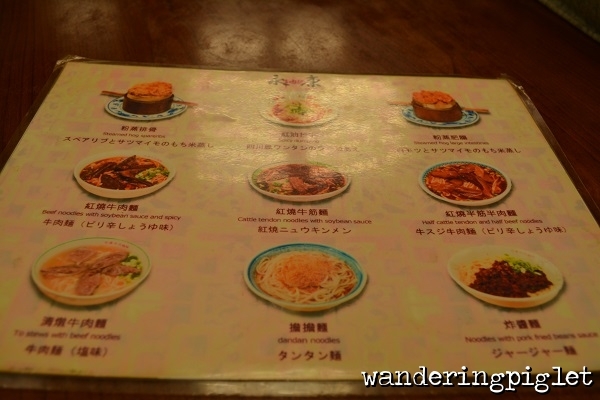 The menu is on the wall as you enter, but they also have table menus inside. 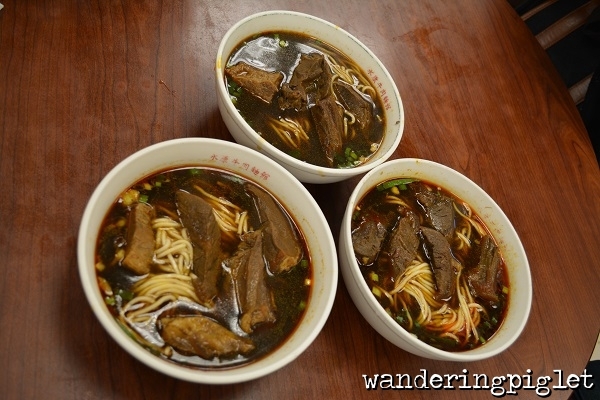 We all had the beef noodle soup. 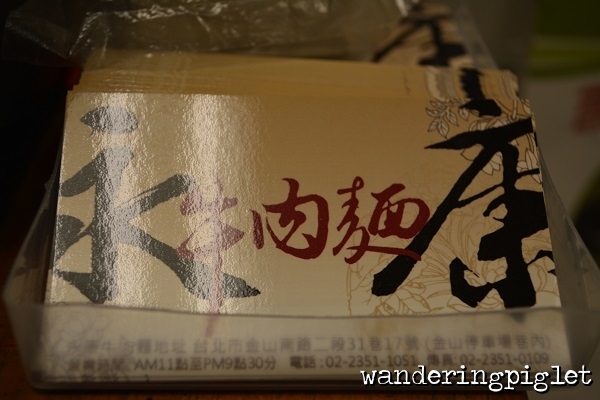 The beef tendon was all sold out. 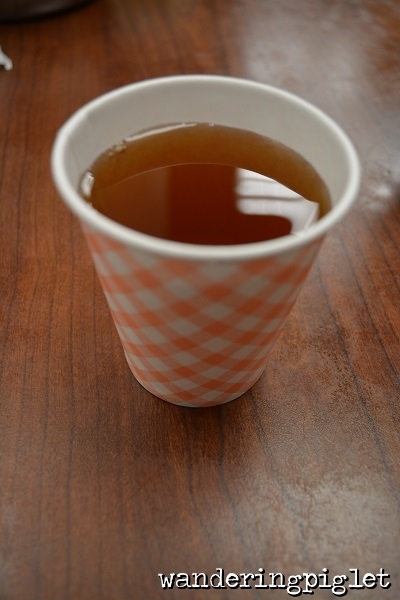 There is free tea and you can buy additional sides, but we just went straight for the prized noodles. 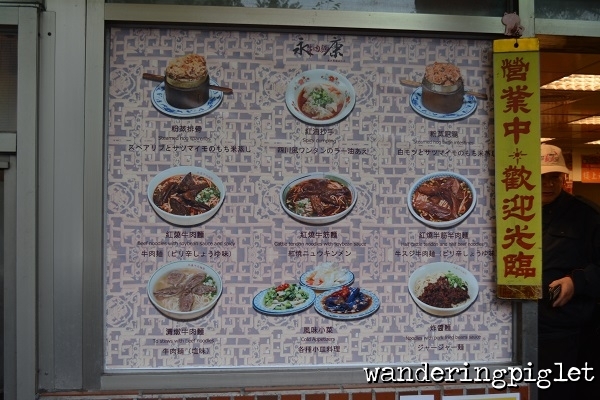 Tip – it say s beef noodle chilli soup, you can ask them to make it ‘less hot’ ‘xiao la’, but they said it would still be a bit hot. 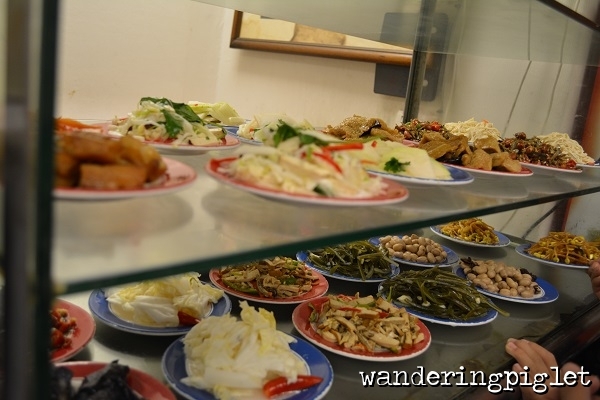 But went we got it, the difference between the ‘xiao la’ and regular hot ‘zhong la’ is minimal. Their regular/normal hot, is not hot by the way! Down to the noodles! 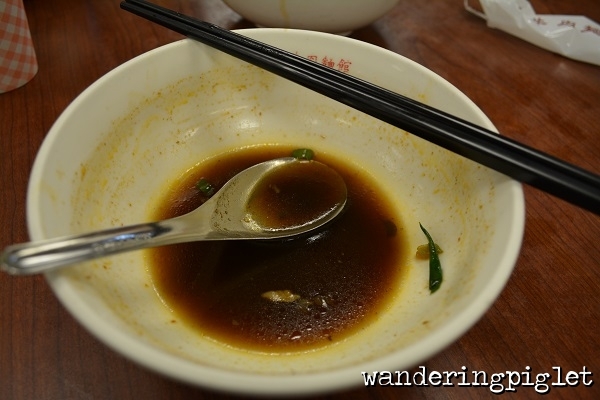 (180 NTD a bowl) The broth is a beef & soyabean based stock. It is very tasty indeed. 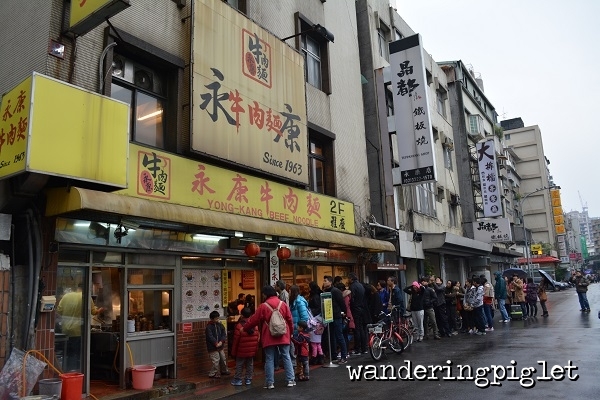 In contrast to Tao Yuan Street beef noodle soup, I actually prefer Tao Yan. 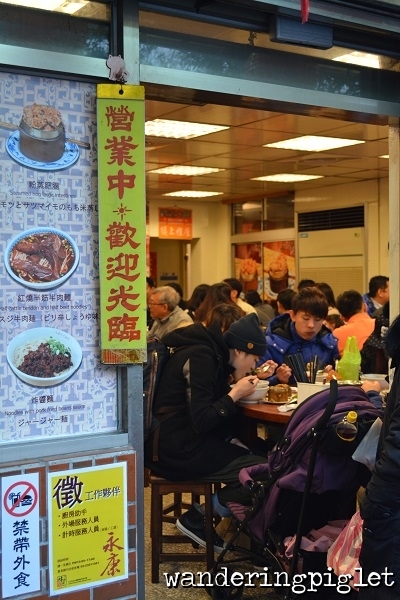 The soup may be slightly tastier at Yong Kang, but the noodles at Tao Yuan have more bite to them. These are lovely still and handmade, but taste slightly more machine processed. The beef has some cartilage still attached, which is a nice touch, but the salty melt in your mouth beef from Tao Yan still does it for me more! 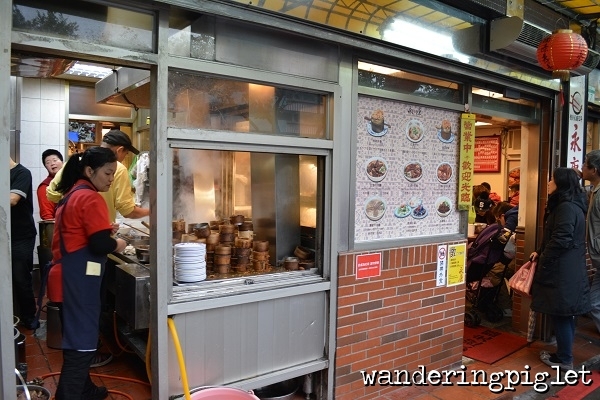 This place is a very close second, and it still satisfying and yummy. Would recommend this place if you are in the area!